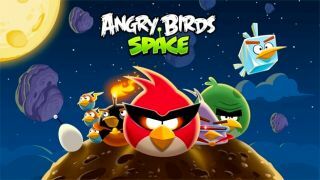 Rovio has confirmed that Angry Birds Space will indeed come to Windows Phone handsets, contrary to an earlier statement from the developer. The Finnish company had initially said remaking the game for Microsoft's momentum-gaining operating system would be too much work and thus it had no plans for offer the new title. Peter Vesterbacka, head of marketing told Bloomberg that: "We're the No. 1 app in the Windows Phone app store, but it's a big undertaking to support it, and you have to completely rewrite the application." The announcement will have raised alarm bells with Microsoft and its preferred partner Nokia as the pair seek to establish themselves as a serious alternative on the same level as iOS and Android. Thankfully for the pair, and Windows Phone adopters, it appears that something may have been lost in translation as a second statement, just hours later on Friday, cleared up the matter. Rovio Chief Executive Mikael Hed told Reuters: "We are working towards getting Angry Birds Space to WP7," although he didn't offer a release date for the title. A studio like Rovio dumping Windows Phone at this stage of its development could have had disastrous consequences for Microsoft in its battle to win hearts and minds. While the company has produced an intelligent and original operating system, it could barely afford a "no" in reply to the question: "Can I play Angry Birds on it?"